Records of extant Monoplacophora are still scarce, often limited to single specimens or empty shells. Little is known about monoplacophoran diversity, distribution and biology. 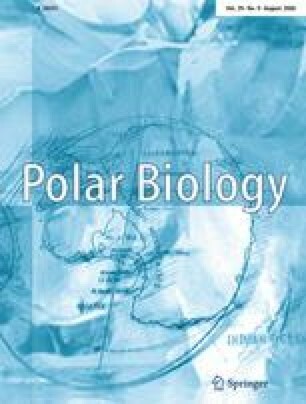 This study summarizes the present distributional knowledge of all Antarctic monoplacophorans, adding new records from the Eastern Weddell Sea. The record of Laevipilina antarctica from over 3,000 m depth extends its previously known bathymetrical range from 210 to 644 m down to abyssal depths. Special symbiosis with bacteria might contribute to this remarkable eurybathy that is unique amongst extant monoplacophoran species. L. antarctica now is known from several stations along the shelf and slope of the Eastern Weddell and Lazarev Seas. Micropilina arntzi seems limited to the shelf and upper slope of the Lazarev Sea. An undescribed Laevipilina species is known only from a single station at the upper slope of the Eastern Weddell Sea. Distributional patterns are discussed and correlated to environmental conditions and available biological information. Thanks are due to Olaf Klatt (AWI), Lawrence W. Carpenter (School of Marine Science, Virgina Institute of Marine Science, VA, USA), Rob Middag (Koninklijk Nederlands Instituut vor Onderzoek der Zee, Den Brug, The Netherlands), Steffen Gauger (FIELAX Gesellschaft fuer wissenschaftliche Datenverarbeitung mbH, Bremerhaven, Germany), and John A. Howe (Scottish Association for Marine Science, Argyll, UK) for providing physical and chemical data of the ANDEEP III stations. All involved sorting teams and the crew of RV “Polarstern” are warmly thanked for their professional work. Wolf Arntz (AWI) and Angelika Brandt (Hamburg) are especially acknowledged for organizing and letting us participating at the EASIZ and ANDEEP expeditions. Gerhard Haszprunar and Jens Bohn (both ZSM) kindly supported preparing the trips. Markus Unsöld (ZSM) provided the monoplacophoran line drawings. Jerry Harasewych and two unknown referees are thanked for helpful comments. This study was supported by the GeoBioCenterLMU, the Deutsche Forschungsgemeinschaft (DFG grant HA 2598/6-1 to MS) and the Natural Environmental Research Council (BAS core science project MARB to KL). This is ANDEEP contribution No. 52.